You are here: Home / Ans Taylors Art Blog / Uncategorized / We have a winner!! We have a lucky winner!!!! 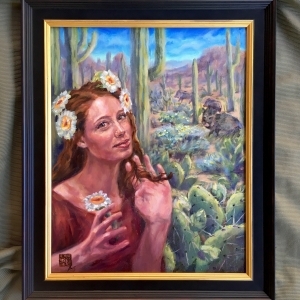 By signing up to my newsletter you all had a chance to win this nifty, archival quality Xposer Print of the Cactus Queen 2 (shown here is the framed original oil painting). Congratulations, to Heather I think! I had trouble deciphering the name, but I should be good on the email and contacted you already in person (I cannot disclose the full email online, but if your email starts with ‘hnels…’ then: Congratulations to you!). If you think I should offer another giveaway, let me know what would excite you! https://www.anstaylor.com/wp-content/uploads/2018/10/CQ2framed.jpg 3024 3024 Ans Taylor /wp-content/uploads/2017/10/ans-taylor.jpg Ans Taylor2018-10-10 16:08:542019-04-16 20:48:37We have a winner!! Thank you! :) Plein Air: Paint Outside!